Green Lens was a project during Summer 2018 that invited young people across Birmingham to voice the green issues that matter to them, locally or globally, through the medium of photography and film. Environmental issues have a greater sense of urgency than ever, and young people stand to inherit a world that could be radically different to the one we currently live in. The project invited young people to explore the green issues that are important to them at open workshops, while learning new skills from two of Birmingham's leading photographers, Kate Green and Andrew Jackson. 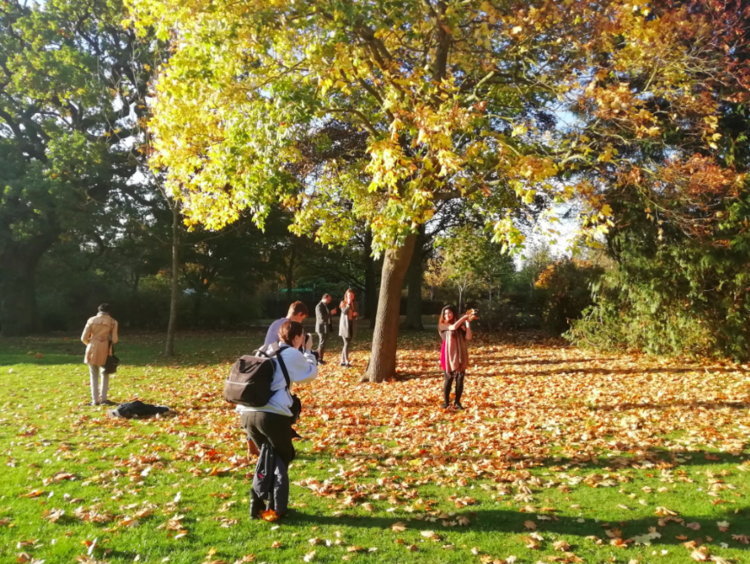 Groups and organisations took part in photography workshops in green spaces such as Cannon Hill Park, Kings Heath Park and Edgbaston Reservoir. Explore the archive to find out more. An open call for photographs and films took place, collected through an open, Birmingham-wide submission process. Eight artists were chosen to have their work exhibited at an exhibition at Midlands Art Centre which highlighted the issues that concern them most, the environmental changes they are witnessing on their own doorsteps and those that affect people and wildlife internationally. The photographs were accompanied by their own words and the stories behind the work. Every step was taken to ensure that the materials used to develop the exhibition are from sustainable sources with the least environmental impact possible. Download our Project Report here. Green Lens is organised by ecobirmingham in collaboration with Ampersand Projects. ecobirmingham want to help create a sustainable city, inspire positive change and build stronger communities. Whether it’s learning to ride a bike, gaining skills in food growing, raising awareness of local issues or contributing to debate in the city – we will help you along your journey. Ampersand Projects collaborate with communities and artists across Birmingham and the Black Country with the goal of building meaningful connections between people and public spaces. We work to empower communities and individuals to be more creative, collaborative, build skills and share stories.